Judith Nzimande is seasoned Human Resources expert with 24 years of experience in HR related fields, holding positions ranging from Head of Human Resources and Transformation at Mondi Shanduka Newsprint, Capability Development Manager at Mondi South Africa. She later joined Richards Bay Coal Terminal Proprietary Limited in June 2010 to lead the Human Resources and Corporate Affairs. 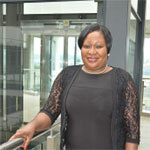 She is the first female President of the Zululand Chamber of Commerce and Industry. Judith has received a number of awards, the IPM 2015 HR Director of the year and Richards Bay Business Woman of the Year. Kushil has extensive experience in real estate deal structuring and development, infrastructure development, toll concessions and construction management. He worked in various roles in Group Five’s E&C cluster for 10 years before moving to the I&C Cluster in 2004. 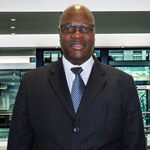 In 2007 he joined ABSA (Barclays Africa) where he headed Absa Development Company. 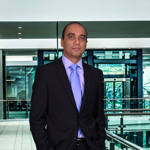 Kushil re-joined Group Five in 2011 and, under his leadership, the Group’s property business was rebranded into G5 Properties and has progressively grown its asset base and project pipeline across the continent. 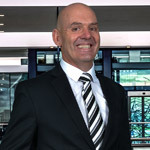 Mark has close to thirty years’ experience in the construction industry, in operational and commercial roles. He joined Group Five in 1988 as a student. Life at Group Five started out at Group Five Projects and he was promoted to Managing Director Projects in 2007. 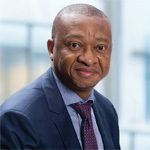 During his time at Projects he was instrumental in establishing Group Five’s footprint on the African continent in particular within the mining sector. In 2014 he was promoted to Operations Director for the E&C Cluster focusing mainly on the construction divisions. Abel joined Group Five in 2015 and has over 18 years of experience in the mining, business consulting, construction and banking sectors. He has within a short space of time added tremendous value across different areas in the group. He implemented processes and systems which elevated the group’s scorecard status from level 4 to level 2. 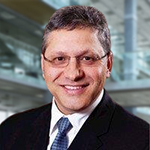 In the 18 months as part of the leadership team of the group’s Construction cluster, he has contributed to the restructuring process aimed at cost optimisation and operations efficiency. Abel brings sound operational experience, transformational leadership acumen and expertise in crafting sustainable business strategies.